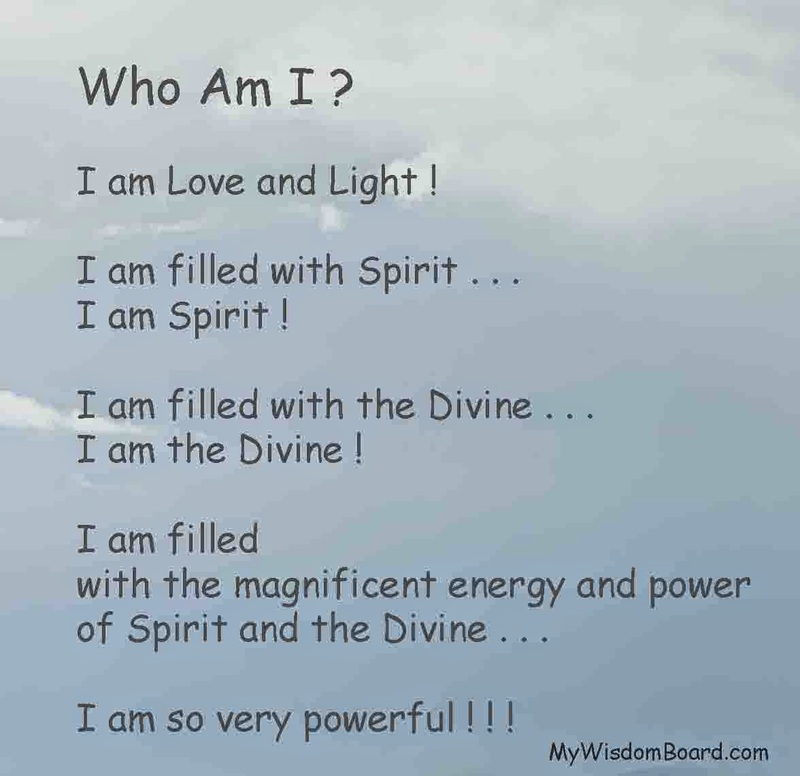 My Wisdom Board Blog : Who Am I . . . Really ? Who Am I . . . Really ? Deepak Chopra recommends to spend 5 minutes in Meditation every day and ask yourself 'Who Am I' ? 'Who Am I Really' ? This Meditation was a result of this daily practice and I open my heart and soul to receive the blessings of this knowing . . . and I offer my deepest gratitude and deepest love for these teachings and for all the blessings and guidance I receive. Thank you . . . thank you . . . thank you ! ! I love you.